In an interview with USgamer, developers of Rocket League, Psyonix, said that the success of Mario Kart 8 Deluxe was a huge motivation for them to develop Rocket League for the Nintendo Switch. The Switch, as it turns out, is quickly becoming a great home for weird motor games. Mario Kart 8 Deluxe is one of the Switch’s best titles, and Dunham says that Mario Kart 8’s success on the console was a huge motivator for the Psyonix team to get it right on the Switch. A kind of, “if they can do it, so can we” kind of thinking, so to speak. At the same time, the idea of Rocket League on the Switch existed long before Mario Kart 8 Deluxe even came out. Psyonix also mentioned that though development for the Switch only officially begun 3 months ago, they were already messing around with the Switch’s dev kits even before the Switch was announced. In fact, it was Nintendo that first approached Psyonix on developing for the Switch. 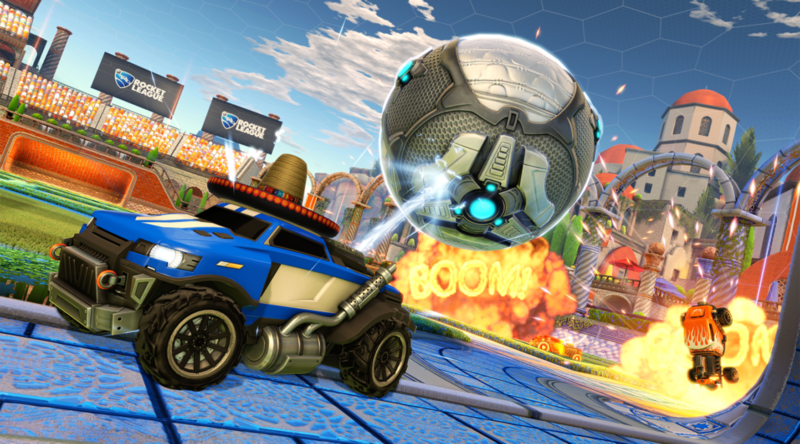 The full article contains more snippets on cross-play on Rocket League and how they believe it is the future of gameplay. You can read the full interview and article here. Rocket League comes out Holiday 2017 on the Nintendo Switch. The Mythical Pokemon Marshadow’s secrets are coming to light!